Advances in ultrasound technology is being inspired by a new Israeli research project that studies dolphins, bats and mole rats. Advances in ultrasound technology is being inspired and informed by a new Israeli research project that studies dolphins, bats and mole rats. Researchers led by Professor Nathan Intrator at Tel Aviv University's Blavatnik School of Computer Science, in collaboration with Brown University's Professor Jim Simmons, are working to identify what gives bisonar the edge of human-made technologies. Bisonar – the way animals interpret returning signals – involves superior, real-time data processing, according to Intrator, whose research was reported in the Journal of the Acoustical Society of America. Bisonar animals send ultrasonic sounds called “pings” into the environment. The shape of the returning signals, or echos, determines how these animals “see” their surroundings, helping them navigate or hunt for prey. Humans, however, cannot produce such an accurate picture, Intrator noted. “Animal 'echolocations' are done in fractions of milliseconds, at a resolution so high that a dolphin can see a tennis ball from approximately 260 feet away,” the scientist explained, adding that animals are able to process several pieces of information simultaneously. 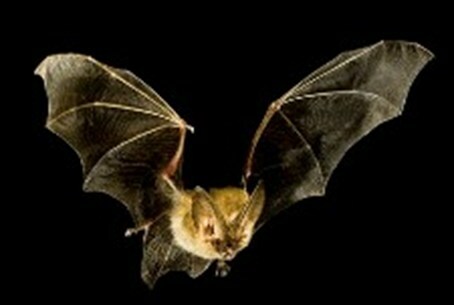 With echolocation, a bat can tell the difference between a fly in motion or at rest, or determine which of two fruits is heavier by observing their movements in the wind, Intrator said. He and Simmons set out to study how bisonar animals perform echo location so quickly and accurately. Using an electronic system, they altered the frequency and noise levels of the echo returned to the animal. By manipulating the echo, the researchers could determine which factors of the returning signal reduced an animals ability to correctly analyze the returns. This led to a better understanding of how the returning echoes are represented and analyzed in the animal's brain, Intrator explained. He added that the research could lead to cutting-edge navigation systems and more accurate medical imaging.